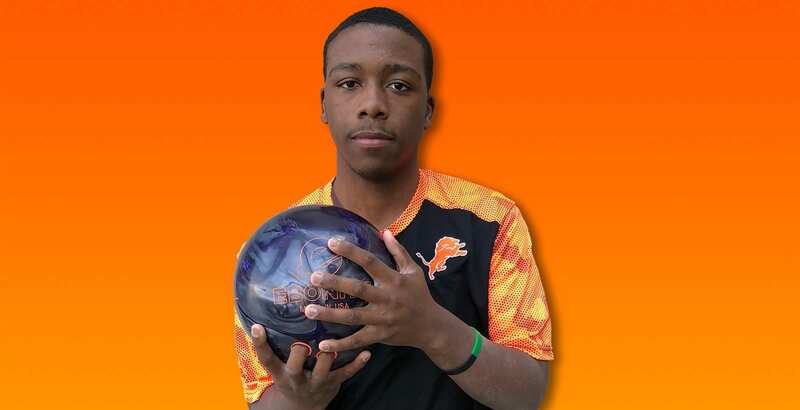 Jalen Renfro’s senior bowling season came to a disappointing end when the Leo captain failed to survive second-round sectional competition and thus was denied a trip to the IHSA state tournament scheduled for O’Fallon, Il., on Jan. 25-26. A shoulder injury sustained during a sectional match deprived Renfro of his chance at a a trip downstate last season, when senior teammate Jalen Robinson was a state qualifier. This year there was simply too much competition. The 156 average he posted for six games at the Woodridge Sectional on Saturday, Jan. 19 was well below Renfro’s season average and didn’t place him among the top 10 individual qualifiers for the state meet. His best game was a 175, a score he bettered with regularity during the regular season. He averaged 171, with a high game of 197, in the first round of the sectional. Some of Jalen’s teammates saved their season-best performances for the first round of sectional competition. Senior Schron Brown’s career-high game of 178 highlighted a 905 six-game effort that just missed the top 10. Sophomore Caron Gordon bowled back-to-back games of 173, and junior Ethan Hudson rolled two career-high games: a 159, followed by a 24-pin improvement to 183.